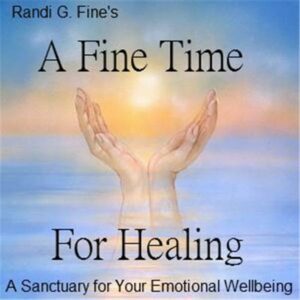 Internet Radio Show Host, Life Issues Counselor and Author Randi G. Fine Discusses Helpful and Inspirational Topics You Can Relate to Your Own Life–Bringing Insightful and Expert Information that Heal and Enhance Our Life Experiences. Offering You Advice and Education From Top Experts in the Fields of Spiritual Enlightenment,Mental Health, Emotional Health, Physical Health, and Holistic Health. December 20, 2016 – The Alternative Medicine Cabinet Doctor Kathy Gruver Ph.D. When it comes to relationships, everyone has issues, but some people have more than issues—they have personality disorders. Today’s special guest Donna Andersen explains how to spot the true problem partner. She’ll explain that no, sociopaths are not all deranged serial killers. But they are social predators—both male and female—who live their lives by exploiting people, and some of their favorite targets are unsuspecting romantic partners. So what are the red flags? 5. Blames others for everything. 6. Lies and gaps in the story. 8. Moves fast to hook up. 10. Jekyll and Hyde personality. Today’s special guest, Nancy Virden, is a suicide attempt survivor who is passionate about sharing hope with those in emotional pain. She is an author, Mental Health and Recovery Advocate, and Founder of Always the Fight Ministries. Diagnosed with Major Depression Recurrent in 2005, and closely related to people with the same disease, Nancy has been on two intense sides of the spectrum as the patient and a key support. By directly relating with audiences, her goal is to encourage those who struggle with depression, and to help supports understand what to do or say without becoming overwhelmed. Nancy offers a revealing look into major depression and recovery as only one who has been there can. Nationally and internationally, she shares her experiences and unique insights in-person, in publications, on FM/AM and internet radio, and as the host of the CompassionateLove Radio show. Her Compassionate Love Blog, which reaches readers in over 83 countries, publishes semi-weekly. Her books titled, Called to Live: A Chronicle of Recovery After Attempted Suicide, and Always the Fight, inspire readers to connect to promise and hope. You can learn more about Nancy on her website, NancyVirden.com. As a survivor of Narcissistic abuse myself I know how frustrating, helpless, and confusing this disorder can be to deal with. As an experienced counselor I know that issues dealing with this problem are always arising. I am fully aware that many of you cannot afford the out of pocket expense of paying for counseling, but do have important questions you would like answered. I can and want to help all of you work through these sensitive issues. The second Friday of every month my internet radio show, A Fine Time for Healing, will be entirely devoted to taking to your calls and answering your questions about NPD. The advice is FREE! The show airs at 11 a.m. EST and runs for 45 minutes. The number you will call to connect with the show and speak to me is 424-220-1801. This time will not be a convenient one for everyone so there is another way for you to get your questions answered. Just email me ahead of time and I will read your questions on air and answer them. I assure you that your identity will be kept anonymous. All shows will be recorded and archived after broadcasting. They can be listened to at your convenience by clicking on the link I will provide you when you email me. 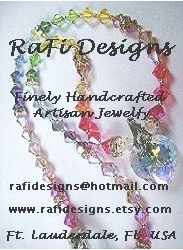 Please send your emails to loveyourlife@randigfine.com with “Radio Show Question” in the subject heading. When today’s guest Dr. Kelly Morrow-Baez was in her 20’s, she was diagnosed with polycystic ovary syndrome. She was a size 16 and weighed close to 200 pounds. She was miserable all around. She didn’t enjoy living in a big city and was making horrible choices when it came to her health. She would go home, stressed out from studying for graduate school. and stand in her kitchen with bread and a tub of butter, crying as she ate. One day Kelly started feeling short of breath. It was the first sign that she was having more serious health issues. She asked the doctor that was treating her PCO doctor for Metformin because it could help women wither her condition lose weight, but he wouldn’t give it to her. He told her she had to lose weight on her own. That was a big wake-up call. Kelly began to eat better in 2001, when she was 30, and loved her body. Then she had two children back to back and put all the weight back on. She finally reached a breaking point four years ago, got her eating under control with the app My Fitness Pal,and started running. Now she is at the weight she wants to be. Dr. Kelly Morrow-Baez, aka The FitShrink, is a Licensed Professional Counselor with a PhD in psychology and over 10 years in practice. As a health motivation expert, writer, speaker and coach, she is on a mission to change the way you think about getting healthy. Dr. Baez has been featured in Dr. Oz Good Life Magazine and has added her expertise to articles in Forbes, Teen Vogue, Spark People, and more. “Emotional abuse is alive and well. Contrary to popular belief, emotional abuse is not just something that happens from parent to child, or occur in teenage love affairs. Adult women face emotional distress in their friendships, daily,” says today’s special guest Alexis Nicole White. Alexis addresses the untold social issues associated with emotional abuse in her new book, The Covered. The release of this memoir is both relevant and timely as many African-American millennial women combat the stigmas of being single after thirty; unable to find suitable mates in addition to the notion that they may not get married at all. As she highlights the frustrations experienced as a maturing woman, Alexis discusses the challenges women have with maintaining healthy images of self-concept, self-awareness and self-love. Alexis Nicole White is an entrepreneur, author and inspirational speaker. 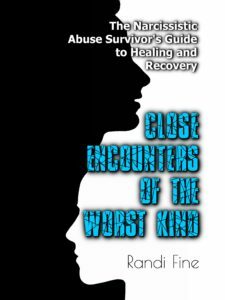 Her memoir, The Covered, highlights her journey with experiencing emotional abuse and how she survived and thrived. Her goal is to help other women, young and old, do the same – survive and thrive. We think of serial killers when we hear the word psychopath, but the vast majority are not in prison. They are walking among us. Lacking a conscience, they leave a path of destruction and despair as they pass through life. Today’s guest, Author Dianne Emerson has written a groundbreaking book called Psychopaths in Our Lives:My Interviews which gives a chilling view into the minds of psychopaths–the ones for whom you may work, or possibly the one with whom you live.This book goes where no other book has gone before–into the mind of how and why psychopaths do what they do and the sinister thinking behind their actions. Dianne’s book helps us to recognize the behaviors and the tricks that psychopaths use to manipulate their prey. It teaches us about the mind games they play. We learn not to trust what seems too good to be true because it probably isn’t. The subconscious mind accounts for 93% of the mind’s power, yet most people don’t know how to harness it to make the change they desire in their lives. Making a logical decision and will-power are important stepping off point in making change, but they alone can’t ensure that your goal is realized. For that you need the powerhouse of the subconscious mind on your side. Special guest Dr. David James is with us today to talk about subconscious life scripts and how they actually disable us. He will explain how through hypnosis, we can “download” powerful new belief systems that will bring the change we desire. Dr. David James, a hypnotherapist, author and public speaker in Beverly Hills, CA is an expert in working with people as they make powerful change, helping them to discover their deepest and best selves, from weight loss and smoking cessation, to increasing one’s personal success and connection to the Divine. Finding the right relationship for you with your Soul Mate, doesn’t need to be difficult. It can be really painful to see how time passes, and you continue single, or going from one relationship to another without finding the right match for yourself. Maybe your relationships don’t last, or you are attracting unavailable partners, and you don’t know why all of this is happening. Judith Costa, certified Life & Love Coach and with a Masters degree in Psychology and Psychotherapy, based on her 15 years of research and experience on Soul Mates, she helps people to understand what a real Soul Mate connection is, how to improve Self-Love, and how to manifest the kind of relationship all of us want and deserve. Judith has helped men and women find their Soul Mates, and she believes that every one of us can find that kind of Love – unconditional Love. She found her Soul Mate, and she is passionate about helping others search for theirs. Judith Costa is a certified Unconditional Love Coach, Seminar Leader and Speaker, with a Master’s Degree in Psychology and Psychotherapy and a MBA. She works with groups and individuals to help them overcome their inner blocks to Love and to find true Love. 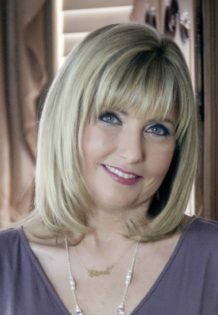 She uses different techniques such as Coaching, the Akashic Records, Past Life Regression Therapy, Astrology and Dream Interpretation. She has been researching about Soul Mates for more than 14 years, and her work involves teachings about what is a real Soul Mate connection, how to improve Self-Love, and how to manifest the kind of relationship all of us want. Judith offers one day programs and retreats around the world. These programs include: “How to Find Your Soul Mate” and ”Fall In Love… With Yourself”. Robert Keith Wallace is a pioneering researcher on the physiology of consciousness. His research has inspired hundreds of studies on the benefits of meditation and other mind-body techniques. Frederick Travis is a world-renowned neuroscientist who has discovered brain wave patterns in children and young people that correlate with greater moral reasoning, happiness, emotional stability, and academic performance. Like a moth to the flame, our natural tendency is to flutter our little angelic wings to move us towards what we consider to be the ‘good’ and the ‘sacred’ within us. This direction can lead to extraordinary levels of Self-Realization, fresh perceptions about life’s deeper meaning and our connection with the Universe itself. What about our Darkness, those negative characteristics that we all have, yet we suppress or even deny? What about the Shadow side of our psyche?” asks Will Schneider, a new voice in American spiritual writing and today’s special guest. “Unfortunately, that strategy doesn’t work too well,” says Schneider. “Our Shadow may be buried but it’s not out of the psyche. Ignoring the Shadow can be asking for real trouble. Left to its own devices, our Shadow Self can erupt up from the depths and sabotage us.” To raise awareness of this powerful dynamic of the human psyche, our Light vs. our Shadow, Schneider has written a fresh, innovative metaphysical book. Lucifer’s Game revolves around a reflective, evolved man, Jackson Trent, whose spiritual path has long been focused on developing his Light side but, like most others, he has not paid attention to his Shadow self. Will Schneider has 35 years of metaphysical training under his angelic wing. Lucifer’s Game explores the possibility of a more elevated level of transcendence and inner balance, which can lead to even greater true spiritual wholeness. Beautiful twin girls, Sophia and Olivia were born via c section at 28 weeks and spent 21 days in the Special Care Unit in Brisbane Australia. The girls came into this world with respiratory issues, eczema, gut and bowel issues. Their immune system was just not coping and they were only starting this journey of life. Upon being able to take them home Nilissa and her husband had a intensive routine of volume feeding and physiotherapy. This continued for 9 months until they were finally given the all clear from their pediatrician. Still, Sophia and Olivia were always sick; ear infections, reflux, covered in eczema. Every specialist said this was normal and to stop worrying. At 13 months they made a trip to Melbourne to see other specialists for further testing, opinions and management. They spent 3 months there but got no answers. At 16 months the girls stopped developing, and due to their extremely poor health began regressing. A specialist told Nilissa and her husband that the girls were severely autistic and that they should put them in a home, forget about them as they will never be anything. For the last ten years, Nilissa has been searching for answers. She refuses to give up on her precious daughters. She and her parents have exhausted all financial resources and her marriage has broken up. Now she is doing all of this as a single mother. Today she is here to tell us her heartbreaking story. In the meantime, if you’d like to learn more about this story and the monumental struggles these beautiful, now ten year old twin girls have had since that day, please go to Healing Sophia and Olivia. This is an inspiring story that you do not want to miss. Be sure to tune in and listen. “What a long, strange trip it’s been….” Those are the words and lyrics that come to mind in reading Jarod Rosen’s Drowning In The Light: Memories Of The New Age. As he chronicles his life-long sojourn across the Americas in search of enlightenment, you cannot fail to be fascinated by his other-worldly experiences, which may well bring back the memories, music, art and incense of your own adventures. With a perfect blend of dark humor and deep spiritual wisdom, the pages fly as we are transported from the late 1970s downtown N.Y. scene where Rosen collaborates with artist Keith Haring and others, to shamanic initiations in the mountains of Peru, to his heartfelt yet satirical observations of New Age culture in 1980’s California. Rosen brilliantly articulates the pain and vulnerability one can experience searching for spiritual truth as he faces death, sanity and enlightenment head on. “Who’s reality is the real reality” is a question posed at any moment as he explores the light, vibration and consciousness that animates humans and the cosmos. Rosen unflinchingly pursues the knowledge of that light across mountains, rivers and the roads of America, creating what has been said to evoke Jack Kerouc’s On The Road with Paulo Coelho’s The Alchemist. And he pursues it almost to the point of death in 2015. Jarod Rosen has a special message to those who might reject Western Medicine like he did, bent on naturally healing himself. As a developer of his own system of Energy Healing with years of research into esoteric subjects, Rosen’s story is especially poignant. His message will have you deeply questioning your beliefs and his stories will have you laughing. 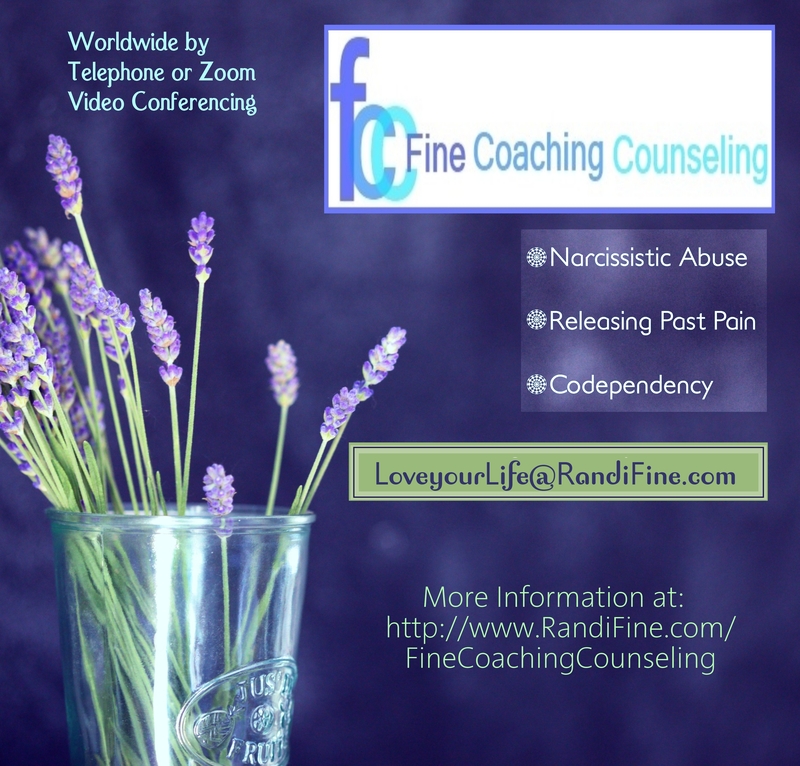 Randi Fine, Life Counselor, sits down with Dr. John and talks about Narcissistic Personality Disorder. Are you an adult suffering the emotional impact of childhood abandonment? Does the fear that someone will leave you trigger these old feelings? Is fear of abandonment negatively impacting your life and all your relationships? Special guest Amy Braido, host of the podcast Raising the Bar is with us today to candidly share the childhood abandonment issues that she has carried over into her adult life. Most would describe Amy as an energetic burst of fury, humor, servant leader, and empathetic caregiver. She’s known to put full effort and focused attention into any goal she sets. Yet, she didn’t always live this way. Born to young parents, she was primarily raised by a single parent, spent time in foster care, and has felt the affects of being abandoned by her father. She moved often throughout her childhood. Realizing at an early age that adventure and experience comes with their own issues, Amy demonstrates resiliency more often than not. Hear how her life experience, choices and lessons, have shaped her character and how she is able to transfer negativity into positive opportunities for herself and others. Amy is a budding motivational speaker, mentor for leadership development, wellness coach, figure competitor, and hosts the radio show, “Raising the Bar”, on the Voiceamerica network. Amy is also co-founder and President of The Echo Foundation, Inc., a 501c3 non profit organization for adoption and orphan care projects in the U.S. and abroad. Echo is currently serving with a partner organization in Ethiopia as well. You can contact her at amy.raisingthebar@gmail.com or message her through amybraido.com. I received many questions for Free Advice Friday, May 13th that I did not have time to address during that show. Your questions are very important to me so I added today’s show to the lineup to give you the answers you were hoping to hear on the 13th. The fascia, that cloak of gossamer connective tissue that surrounds and supports everything in our bodies, functions like fiber optics. It conducts light to all points of our precious vessel. And when it doesn’t. when light is stagnant or blocked, there is pain and trauma. Today’s special guest, Ronelle Wood, a leading specialist in Myofascial Release Therapy, knows the power of fascia from both sides; as a patient and as a healer.In her new book,Touching Light: How to Free Your Fiber-Optic Fascia, Wood chronicles her path to discovering the life-changing technique that has made her a highly successful, sought after practitioner in her Ojai, CA clinic. In Touching Light, Wood looks deeply into the light conducting natrue of fascia and what that means for people; how it impacts their emotional and physical wellbeing and how diminished light conduction can spur problems that someone might not even be aware of. She discusses how the process of Myofascial release differs from massage and how it can be combined with movement instruction to correct dysfunctional body mechanics. You don’t have to believe in magic. Energy Healing is an ancient phenomenon that can be traced to Biblical times. The recent interest in Energy Healing and Alternative Medicine is growing. More and more medical schools are including energy medicine in their programs. Working with an inherited gift, today’s special guest Dr. Gloria Kaye has been conducting healing sessions for over 50 years. Wounds heal up overnight. Arthritis bone abnormalities and bone spurs dissipate. Chronic back pain evaporates. Long-time, intractable, seemingly permanent conditions come to an end. Even animals’ illnesses and disease disappear. If this sounds like soap opera miracles, you are mistaken. These are actual healings from the hands of Dr. Gloria Kaye, a highly regarded psychotherapist, yoga therapy pioneer, hands-on healer and UCLA Medical School lecturer on Healing Touch. She relates these and many more case histories in her eye-opening new book, Healer’s Hands, Healer’s Heart: In-Depth Insights, Practical Techniques and Inspiring Stories of Success with Non-Traditional Healing. In her book she will start you on the path to doing this work yourself. The New York Times says that 81% of Americans believe that they have books “stuck inside of them” that they just have to get out. Now, what if that vast number of people are actually being drawn by Source to do so? If this is indeed the case, would that communing directly back to Source truly enlighten the author as part of the process of deep introspection and creative unburdening? That’s exactly what happens say today’s special guest, best -selling author and renowned Book Whisperer Tom Bird. Tom says that penning a book is one of the fastest and most surefire routes to a higher level of consciousness and enlightenment, and which is why he believes so many are innately drawn to it. Tom Bird has taught thousands of people to write their books in his Write Your Bestseller weekend retreats. He uses a unique process that takes the author through a practice that temporarily “puts to sleep” the left brain, allowing the right brain to take control of the consciousness, opening connections that allow creative “downloading,” thus speeding the intuitive words and messages to paper. His new book Write/Right from God provides insight into the transformative process that provides as much, if not more, benefit to the writer as it does to the reader. Bird cites actual case histories of his authors and how the book writing allowed them to clear years of emotional and physical pain. Tom Bird is here today to discuss his book and a variety of other topics related to the spiritual aspects of writing. John Holt interviews Randi Fine on his WXLM-AM radio show, Networking Singles about how to spot a narcissist when you are dating. Pastor Bill Jenkins, the founder and Senior Pastor of the Church of A.C.T.S., as well as a television and radio host, is with us today to discuss the significance of the year 2016. Pastor Jenkins is going to explain the four things to give our attention to this year — love, family and relationships, personal power, and coming of age — and tell us why they are so important at this time in our lives. He will also share some fun facts about the number 16 including what it reveals about success in the year 2016. Pastor Jenkins’ mission is to release a message of hope in our world. He inspires others to be a part of something bigger than themselves and experience greatness — to stop allowing our past to dictate our future and turn the momentum of our lives around. Tune in to hear Pastor Bill Jenkins inspire you to have a year to remember. Have you often felt out of place or disconnected from the world around you? You may well have heard of Indigo children–those with exceptional gifts and insight that don’t really seem to fit or adapt to a linear world. But did you know there are Indigo Adults? And you just may be one of them! Today’s special guest Yol Swann the author of The Indigo Journals: Spiritual Healing for Indigo Adults and Other Feminine Souls says that Indigo adults are feminine souls with certain masculine qualities. The Indigo Journals is half fascinating memoir and half guidebook that offers for wayward Indigo and feminine souls the means to contribute their unique gifts to balance an overly masculine world and the path to fully embrace themselves and their place in the Universe. Yol Swann is a spiritual counselor, mentor and coach with degrees in literature, music and homeopathy. She is a modern seer who perceives life as energy, with more than 28 years exploring the mind, psychology, and spirituality. Yol helps people around the world to create a joyful and abundant life in alignment with their soul. Internationally famous relationship therapist, bestselling author, and media personality, Dr. Jamie Turndort (aka Dr. Love) shares the amazing true story of her spiritual re-connection with her beloved deceased husband Emile Pin. Discovering for herself that relationships don’t end in death, Dr. Turndorf has created her groundbreaking new Trans-Dimensional Grief Therapy that brings her acclaimed conflict-resolution method to the world of death communication. The result: An unprecedented new method that enables the bereaved to reconnect, heal unfinished business, and make peace with the deceased. Dr. Turndorf’s radio show, Love Never Dies can be heard each Tuesday on Hay House Radio. Most recently CNN has been featuring her as the resident authority on relationship advice and human behavior. Dr. Jamie has authored several books on resolving relationship conflicts with partners, friends, family members and children. She is here today to talk about her latest book, Love Never Dies: How to Reconnect and Make Peace with the Deceased. At the age of 19, suddenly faced with a major health crisis including chronic physical pain and the loss of a dear friend in the Twin Towers collapse of 9/11, today’s guest Lyric Benson was in such extreme emotional and physical agony, she began to pray. And, surprised as she was, that moment changed her life. Finding her way to Maharishi Mahesh Yogi and Transcendental Meditation, she ultimately became a celibate monk and spent the next eight years in meditation for up to 10 hours a day. In the silence she awakened to God’s presence through a state of extreme bliss. Today Lyric Benson Fergusson deeply experiences God as a manifestation in everyday experiences, in everything we touch, in every human being. She brings her message of peace, love and divine realization through her unconventional poetry book, French Kissing God: A Journey to Enlightenment. The collection’s exuberant, pulsating, passionate, visceral verses are the author’s hallmark. Her words let us join her on a journey to enlightenment. Regardless of one’s religion or spiritual tradition, anyone who picks up this book will find it eye-opening, heartening, humorous and boundary breaking. Lyric Benson Fergusson grew up in Hollywood as the daughter of actor/director Robby Benson and actress//rock star Karla DeVito. She is an enthusiastic screenwriter, poet, actress, photographer, and activist who spent many years as a teacher of The Wholeness, a non-profit organization dedicated to facilitating the full awakening of humanity. She has been deeply transformed and inspired by their breakthrough technologies, which bring each individual’s awareness back to the love and truth resonating in all of our hearts. Be sure to tune in and be inspired as Lyric spreads her messages of peace, love and divine realization.